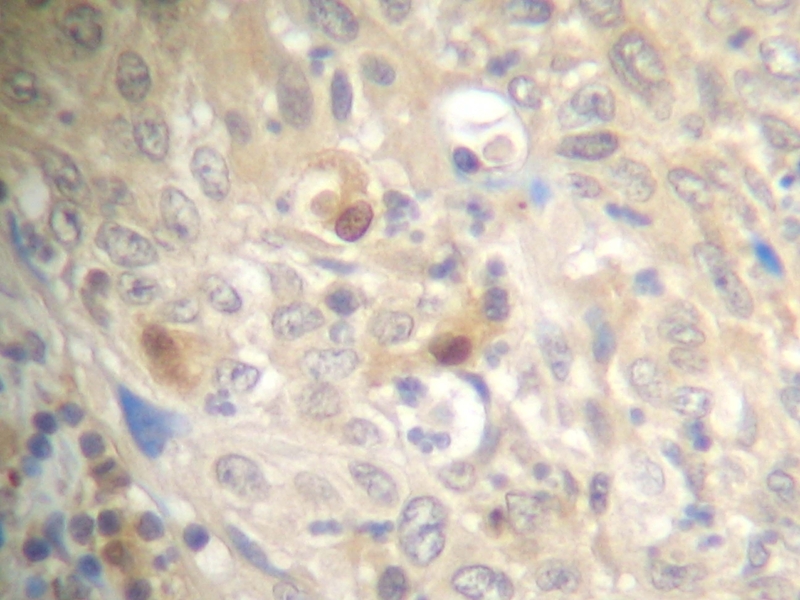 Staining of formalin fixed, paraffin embedded human cervical squamous cell carcinoma with Goat anti Human CD154 (AHP1029). Goat anti Human CD154 antibody recognizes the soluble form of human CD154, also designated CD40L (sCD40 Ligand), a member of the TNF receptor superfamily, comprising the full-length of the TNF homologous region of CD154. 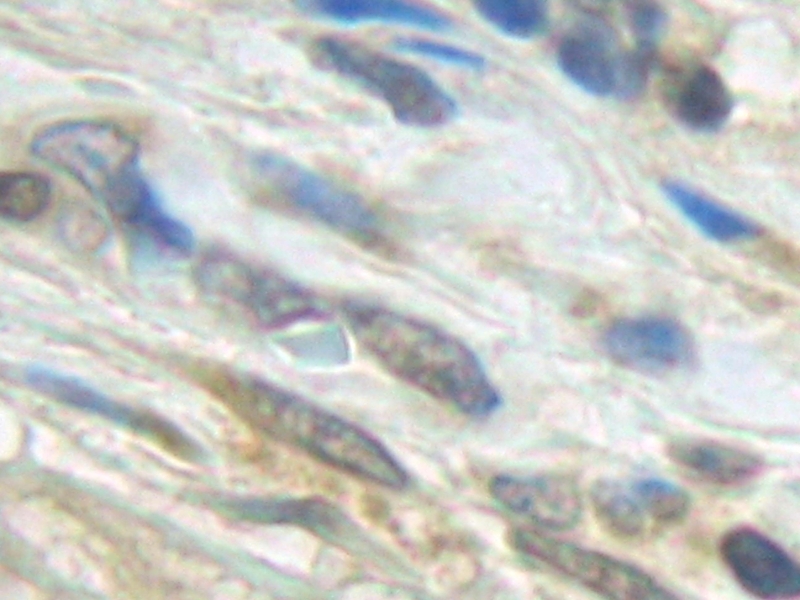 CD154 is expressed predominantly on activated CD4+ T lymphocytes, and acts as a costimulatory molecule in B cell differentiation/proliferation, immunoglobulin switching and germinal centre formation, through interaction with the CD40 receptor on B cells, and cytokines secreted by activated T cells. Antisera to human CD154 were raised by repeated immunisations of goats with highly purified antigen. Purified IgG prepared by affinity chromatography. Purified goat anti human CD154 may be used in indirect ELISA with recombinant human CD154 (PHP126) as the standard. Hollenbaugh, D. et al. (1992) The human T cell antigen gp39, a member of the TNF gene family, is a ligand for the CD40 receptor: expression of a soluble form of gp39 with B cell co-stimulatory activity. EMBO J. 11 (12): 4313-21.